Following the massive success of ‘Full House Poker’, Microsoft have announced that Xbox Live Arcade will release the much anticipated follow up ‘World Series of Poker: Full House Pro’! The Xbox poker game will be a completely free experience with all players starting each day with a new stack of chips at no charge. The chance to learn your way around the game in single player mode before jumping into the multiplayer tournament modes with specialty games like All-in Pro Takedown, and Eight Head-to-Head Pro Takedown. In-play commentary from ESPN’s Lon McEachern and Norman Chad to give the feeling of taking part in the WSOP live on ESPN! Wide range of game modes including everything from single table to enormous tournaments. If you’re a fan of poker games like Full House Pro but want to start playing real money online poker, then make sure to sign up at any of the top poker rooms through RakeTheRake for the best rakeback deals so that you get extra cash and value on all your action. 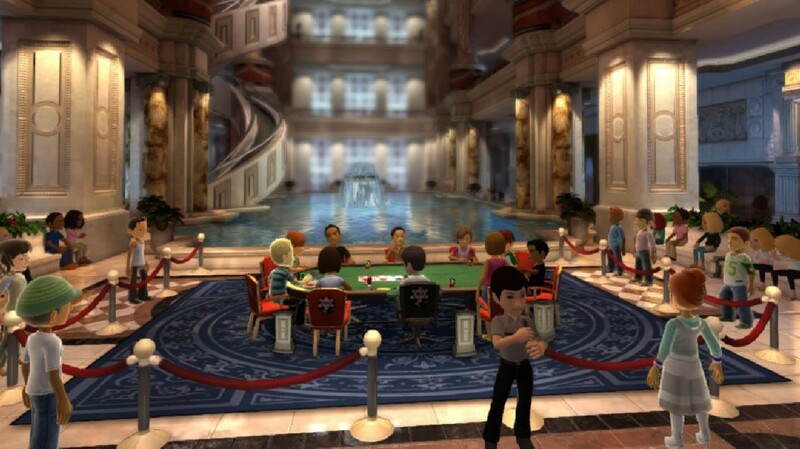 Fans of Full House Pro will love the PKR Poker experience and the emphasis on creating and building a character and the detailed casino environments. Sign up for RakeTheRake’s PKR rakeback deal before you play so that you get poker cashback – win or lose.